If you are in the market looking for the better sounding, if not the best sounding bookshelf speakers under $300, I recommend you check out the new ELAC B5 and B6 Debut bookshelf speakers by Andrew Jones. Andrew Jones is a famous loudspeaker designer who is now working with ELAC to deliver the best sounding bookshelf speakers without breaking your wallet. The ELAC B5 and B6 may sound like they are a thousand dollar loudspeakers, but both speakers would only cost you $230 and $280 (a pair) respectively. The B5 and B6 are just two of the speakers from the ELAC Debut lineup. 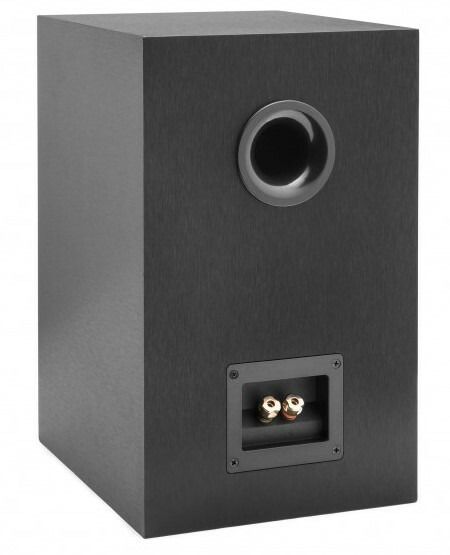 The whole Debut series also includes the F5, C5, A4 and S10EQ Subwoofer. In this article, we’ll just focus on the B5 and B6 for those who are looking the best bookshelf speakers under $300. The ELAC Debut B5 and B6 passive bookshelf speakers are just two of the many speakers that Andrew Jones designed. The B5 features a 5.25-inch woven aramid-fiber cone with oversized magnet and vented pole piece, while the slightly larger B6 features a 6.5-inch driver. These two speakers feature a unique tweeter and bass driver that were custom designed by none other than Andrew Jones to deliver an exceptional sound quality. The Woven Aramid-Fiber on the B5 and B6 offers a superior stiffness-to-weight ratio and damping over common polypropylene or paper cones. The added strength allows more flexibility in design to achieve a smoother, extended frequency response. A custom-designed tweeter waveguide with a deep spheroid profile is utilized to improve directivity control and shield the tweeter wavefront from cabinet diffraction. Finally, a custom seven-element crossover with audio-grade components is implemented to ensure smooth transition between the drivers. 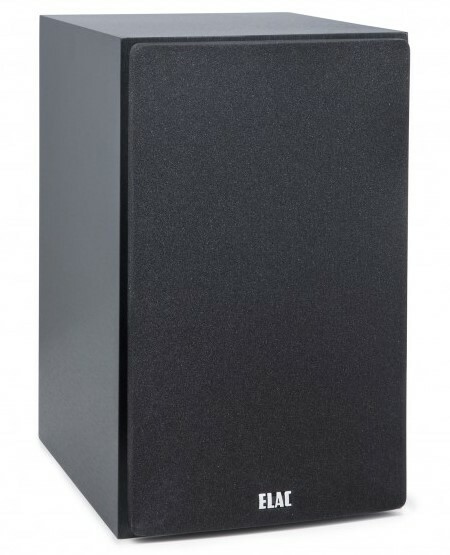 So how does the slightly smaller ELAC B5 compare to the slightly larger B6? The B6 takes the B5 sound profile and adds an extra dollop of bass and dynamic range, making it a stand-out choice for multi-channel systems and critical music listeners seeking a superb bookshelf speaker that packs real performance and punch. In my opinion the $50 difference between the B5 and B6 is worth it, specially if you are looking for a bass-ier bookshelf speaker. I have listened to several demo and honestly the B5 is quite impressive on its own. Both the B5 and B6 are fantastic bookshelf speakers and I guess it will come down to personal preference. 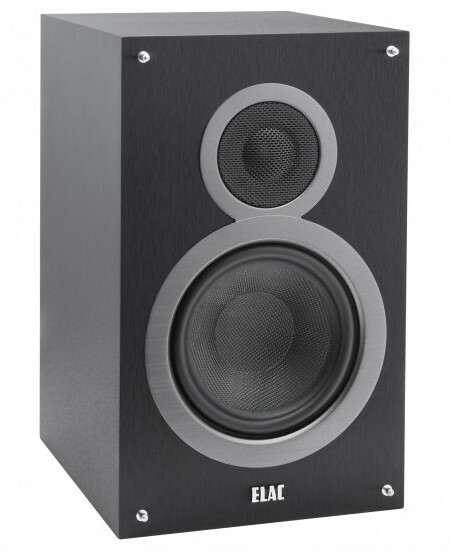 Nevertheless both ELAC Debut speakers are still winners and you can’t go wrong with them. The entire ELAC Debut Speakers are now available in the US. The ELAC B5 is currently priced at $229, while the ELAC B6 is currently priced at $279 a pair. Just remember these speakers are passive bookshelf speakers. This means that they don’t have a built-in DAC and/or Amplifier, and you will have to purchase a DAC/Amp that supports bookshelf speakers in case you don’t have one yet. See latest pricing and availability of the ELAC Debut Speaker at Amazon.com here. AVshowreports was able to interview Andrew Jones and demo the B5 on the spot. The mic they used might not be able to accurately capture the sound quality of the B5, but more or less you’ll have an idea about these speakers.